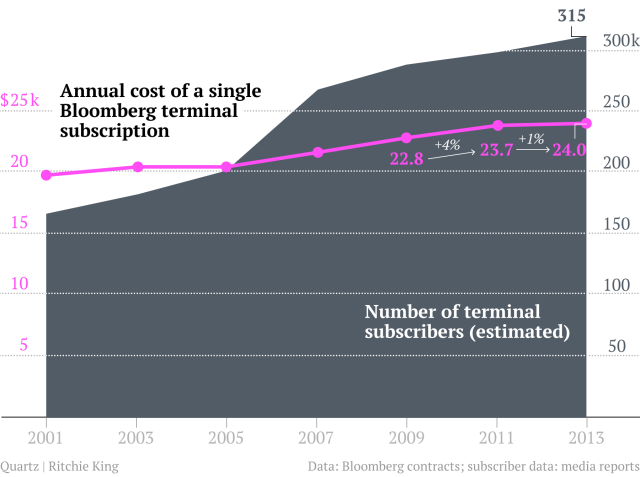 Bloomberg is now charging $24,000 a year for a single terminal subscription. The closely held company doesn’t publicize its prices, which are the most expensive among financial data providers. But we’ve got our hands on what Bloomberg has charged going back to 2001, when the company had about 160,000 terminal subscribers and still trailed its greatest rival, Thomson Reuters. It’s now the market leader, with 315,000 subscribers. Bloomberg is famously averse to discounting, and only offers one level of subscription with access to all data. But it does charge a lower price—currently about $20,000 a year—for customers with two or more subscriptions, including large banks than can have hundreds of terminals. That price, however, increased proportionally with the single-terminal price over the past decade. Bloomberg declined to comment on its pricing. The pricing data in our chart comes from Oceanside, California, which has a Bloomberg terminal for its treasurer. Yesterday we published Oceanside’s contract with Bloomberg along with related documents, which you can read here. The city pays the standard rate for a single subscription to the terminal, officially known as Bloomberg Professional, including Bloomberg Anywhere access, which allows the customer to log in from other devices. Bloomberg is currently charging single-terminal subscribers $2,000 a month for two-year contracts. That’s a hike of just 1.3% from the price of $1,975 in 2011, and adjusting for inflation, it’s actually a decline of 3.1%. Bloomberg raised its price much more aggressively between 2005 and 2011. Back in 2001, the price was $1,640 a month. The number of terminal subscriptions, which we compiled from various press reports, grew steeply before the financial crisis, hitting 270,000 in 2007. Then growth slowed as some of Bloomberg’s biggest customers trimmed budgets or went under entirely. Bloomberg’s revenue was $7.9 billion last year, most of it from terminals. Bloomberg’s competitors, particularly Thomson Reuters and Dow Jones, will clearly try to capitalize on the furor over revelations that Bloomberg’s journalists had access to usage data of terminal subscribers. Reuters has the products most comparable to what Bloomberg offers. Dow Jones, which once competed more aggressively in this space with a product called Telerate, is now pitching something new, called DJ X, to individual investors. It promises less data than what Bloomberg and Reuters provide—but at a fraction of the price. At Bloomberg, omniscience is a feature not a bug. The company’s New York City skyscraper unfurls around its courtyard like a panopticon. Inside, the decor is punctuated at every turn with fish tanks. No one has an office to hide in, and the meeting rooms are enclosed in clear glass. Visit any of Bloomberg’s 192 offices, and you are forever stored in the system; come back years later, on the other side of the world, and the same photograph will grace your name tag. Employees carry two IDs. The first gets them into the building, logging their locations for anyone on staff to look up. The other—which some Bloomberg customers use, as well—is called a B-Unit, for biometric: It reads their fingerprints to permit home access to their terminals. The terminal. Nothing captures Bloomberg better than these machines, though these days, it’s usually more accurate to call them pieces of software. A terminal costs about $20,000 a year and, with 315,000 subscriptions around the world, accounted for the bulk of the company’s $7.9 billion in revenue last year. Up-to-date sales figures and other data about the terminals are displayed on screens throughout Bloomberg’s offices. The promise of the terminal, which it more-or-less fulfills, is quick and unlimited access to any information that might possibly make you money, from credit default swap spreads to sports betting odds. What’s going on at the largest American oil reserve, which holds the crude sold on the New York Mercantile Exchange? Bloomberg commissions a satellite to fly over the site in Cushing, Oklahoma, twice a week and take a picture. Any terminal customer can access the photographs along with estimates of the amount of oil held in the tanks based on the length of the shadows cast across their roofs. Each of Bloomberg’s more than 15,000 employees has a terminal, its iconic keyboard and twin screens making the offices resemble a trading floor, and is encouraged to use it as much as possible. Many core functions of the company are conducted with the terminal. Bloomberg’s 2,400 journalists use it to maintain a collective database of sources—contact information, details like children’s names and accolades, and a record of every conversation with that person. And as the rest of the world just learned, all employees—including, until recently, Bloomberg reporters—have access to potentially sensitive information about terminal users: the last time they logged in, the commands they use, and their chats with customer service. Bloomberg staff have had such access for years. Inside the Bloomberg Tower, though, the controversy is being met with bafflement by some employees and, they say, executives. The ability to see data about terminal usage by customers was considered an open secret. A Bloomberg TV anchor mentioned it on the air in 2011, and an initial analysis by the company is said to show that “several hundred” reporters took advantage of the access. The information seemed, to some, of a piece with Bloomberg’s broader culture of what it calls “transparency,” considered a key to the company’s success. Within the company, stalking is simply part of the culture. Employees can look up—using the function on their terminals—the last time anyone scanned into or out of a Bloomberg office, which they use to keep legitimate tabs on coworkers and, more voyeuristically, to track their executives on business trips (“Winkler just badged out of Tokyo!”). Some staff make a habit of looking up the last time Michael Bloomberg—the company’s founder, longtime chief executive, and now mayor of New York—visited his family’s foundation, which uses the same security system. Many current and former Bloomberg employees say they have been told the company keeps a record of every action taken on a terminal, whether by staff or outside customers, in a practice known as keystroke logging. The data are closely held within the company but can be used for everything from assisting customers with their machines to investigating employees for violations of their confidentiality agreement. There’s no evidence the keystroke data have ever been used for Bloomberg reporting. Keystroke logging is commonly used by companies to monitor staff, but Bloomberg customers may not be aware their terminal usage is so finely recorded. Bloomberg spokesman Ty Trippet declined to comment on the practice. On Saturday, CNBC reported that the US Federal Reserve and Treasury department were looking into Bloomberg terminal usage snooping of their employees. “We have had no formal inquiries from government or regulatory bodies,” Trippet told Quartz. Bloomberg said on Friday it had created a new role of “client data compliance officer” to ensure that customer information was no longer available to its reporters. The breadth of information the company possesses about its customers may raise privacy concerns, but it’s also the envy of Bloomberg’s competitors and a model for many startups in technology and media. Bloomberg was hardly the first company to use open-plan offices, collect loads of data about its customers, and make that information available across the organization, but it popularized those practices and obviously found great success in them. The San Francisco office of payments startup Square looks like a miniature version of Bloomberg’s headquarters, from the curved couches to the screens displaying data about the company above everyone’s desk. In New York, when Dow Jones recently hired its new chief excutive, Lex Fenwick, from rival Bloomberg, he spent the first several months tearing out offices on the executive floor to create an open-plan layout, launched a new initiative focused on customer service and data, and generally made the place feel like a copy of the Bloomberg building 10 blocks to the north. A mantra of CEOs throughout the media industry these days is more data about customers, more readily available throughout the company. They don’t add, like Bloomberg, out of pride or perhaps because it’s obvious. It’s not as though any of this justifies Bloomberg reporters snooping on customer terminal usage, but it should help explain how someone—indeed, hundreds of people—at the company could do it without batting an eye. And it points to a tension between Bloomberg’s culture of openness and its intense secrecy to the outside world. At Bloomberg, transparency only goes as far as the door. To the rest of the world, the privately held company is more black box than fish bowl. The confidentiality agreement that every employee must sign—including reporters, which is unusual in the media industry—is just part of it. They also generally must agree not to say anything critical about the company while employed or after leaving. Bloomberg staffers are genuinely terrified of talking about their company to anyone who doesn’t work there, a fear that was recently justified when Bloomberg immediately fired its social media editor after his private conversations, in which he called the company a “total mess,” leaked online. When a Bloomberg staffer wanted to rat on his “Big Brother” employer to gossip blog Gawker last year, he wrote it all down on paper rather than create a digital record. As a result, the public doesn’t hear much from Bloomberg LP, outside of occasional updates on terminal sales. In a sense, the paradox of Bloomberg’s transparency and secrecy actually describes its business model quite well: Data comes into the company—as much as possible, from wherever possible—but it doesn’t leave because, at Bloomberg, information is money. This is a very serious problem — not only does this cross major ethical lines, but it reveals a severe lack of security at Bloomberg. Why did Bloomberg News reporters — rank-and-file employees of an entirely different division — have so much access to customer data from the financial-terminal division? Why should reporters have any access to customer information? Who else in the company needlessly has access to it? Since JPMorgan Chase reportedly had a similar issue last summer, this had to be happening for quite a while. Does a company as big as Bloomberg, dealing with such sensitive data with such huge possible financial risks, not log and audit employee queries of customer data? This isn’t the result of a hack or a couple of bad employees — this is serious security negligence. I applied for a job at Bloomberg in 2006.1 I wonder how many reporters there have access to all of my personal information. FORTUNE — Most Asian journalists covering Pegatron’s investor conference Wednesday focused on the fact that the Taiwanese electronics manufacturer’s first quarter profits were up more than 80% year over year. The theme of Thursday’s second-day headlines in the U.S. was that Pegatron is on a hiring spree, boosting its workforce 40% and anticipating that communications products would drive revenue increases in the second half of 2013 — all of which somehow fueled speculation that the company might be building a lower-cost iPhone for Apple (AAPL). Focusing on the fact that after growing 162% year over year in Q1 Pegatron’s revenues from consumer electronics were expected to fall 25% to 30% sequentially in Q2, he set out to pin the blame on the iPad mini. Now it could well be that after rising 65% year over year last quarter, demand for one or more iPad products might be slowing. But two things about that quote immediately raised suspicions. First, the phrase about a decline in iPad mini revenue is not in quotation marks, suggesting that it came from the reporter, not the source. Second, have you ever known an Apple supplier to say anything on the record about demand for any of Apple’s products? Not if he or she wants to keep doing business with Tim Cook. “We held our Institutional Investors Conference yesterday, and gave out a guidance of our 2Q13 business outlook… The category of Consumer Electronic Product includes game consoles, LCD-TV, e-paper readers, tablet products, and some others. We put all tablet products in this category, but have never broken down to detail numbers for specific products nor customers. “After the meeting, one reporter from Bloomberg approached me, trying to dig out detail numbers about some specific product. I clearly refused to comment on specific products, nor customers, even though he continued with other questions. I did say those words that he quotes me in the article “more on demand, while price has been stable”…, “almost every item is moving in a negative direction”…; “Not just tablets, also e-books and games consoles”. But I did not say anything associated with any specific products. “‘No indication, nor hint for specific products or customers‘ has been our principle and guideline for any public events such as investors conference. There are always speculations after these meetings. I’ve asked Bloomberg’s Tim Culpan and his editor for their comment. No reply yet. Irked Goldman Sachs brass recently confronted Bloomberg LP over concerns reporters at the business news service have been using the company’s ubiquitous terminals to keep tabs on some employees of the Wall Street bank, The Post has learned. The ability to snoop on Bloomberg terminal users came to light recently when Goldman officials learned that at least one reporter at the news service had access to a wide array of information about customer usage, sources said. In one instance, a Bloomberg reporter asked a Goldman executive if a partner at the bank had recently left the firm — noting casually that he hadn’t logged into his Bloomberg terminal in some time, sources added. Goldman later learned that Bloomberg staffers could determine not only which of its employees had logged into Bloomberg’s proprietary terminals but how many times they had used particular functions, insiders said. “You can basically see how many times someone has looked up news stories or if they used their messaging functions,” said one Goldman insider. “It made us think, ‘Well, what else does [Bloomberg] have access to?,’ ” the insider said. A Goldman spokesman confirmed that Bloomberg was taking steps to address the issue. No reporters have lost their jobs as a result of the snooping issues. CBS News accidentally reported that Apple CEO Steve Jobs had died in a careless post on Twitter.com today. An account tied to the U.S. network’s web series What’s Trending, hosted by Shira Lazar, sparked an internet firestorm with a post reading: ‘Reports say that Steve Jobs has passed away. Stay tuned for more updates’. The item was pulled almost immediately but the text can still be viewed on the website, because so many people retweeted it. Moments after the gaffe, an apology appeared. ‘Reports of Steve Job’s (sic) death completely unconfirmed,’ it read. The cryptic post has fuelled speculation as to the state of Jobs’ health; the Apple CEO stepped down from the company he founded in his garage in 1976 on August 24,. Apple Inc. (AAPL) plans to introduce a new iPhone in September that boasts a stronger chip for processing data and a more advanced camera, according to two people familiar with the plans. 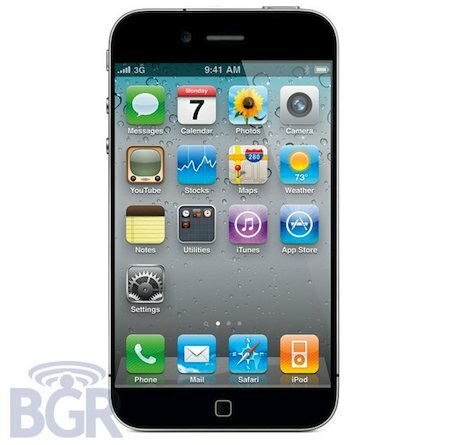 The new phone will run the iOS 5 operating system Apple previewed at a developer’s conference this month. Codenamed “Telluride,” it will feature already-announced features such as improved messaging and photo-sharing, one person said. It’s also designed to run on all of Apple’s mobile devices, this person said. Until late last year, iPads, iPhones and iPod touches used slightly different versions of iOS. Apple pushed back the release of the next iPhone — its fifth — to coincide with the release of the new iOS 5, the people said. Apple is also working to finish a cheaper version of the iPhone aimed at attracting customers in developing countries, the people said. This device would use chips and displays of similar quality to today’s iPhone 4, the people said. Apple’s work on a smaller, lower-priced version of the device was discussed by people familiar with the matter in February. The screen resolution on Apple’s new iPad would be about one-third higher than that of the iPad 2 and will boast a more responsive touchscreen, one of the people said. The new iPhone will closely resemble the iPhone 4, the people said. Higher-res makes sense to me. “One-third higher” makes no sense to me. ▪An iPad 2, fairly soon. Say, a March announcement, shipping in the first week of April. Faster, more RAM, maybe more storage, thinner and lighter, a front-facing camera.1 Running iOS 4.3. ▪iOS 5, announced at a developer event in March, shipping in June. ▪iPad 3, shipping in September, announced at the annual iPod event. Running iOS 5.1, same as the next-generation iPod Touch. 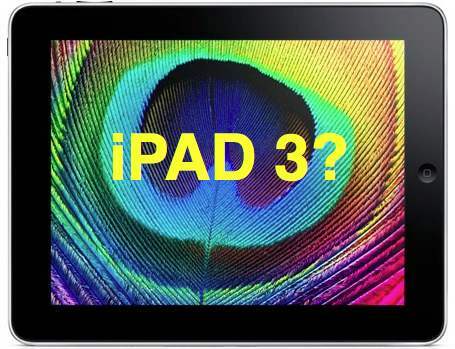 How could Apple release a third-generation iPad just six months or so after the second one? Maybe it won’t be an actual next generation model. Maybe it’s more like an iPad 2.5, or iPad 2 Pro — a new higher-end model that sits atop the iPad product family, not a replacement for the iPad 2 models (which, of course, haven’t even been released yet). I don’t know how to say this without sounding hyperbolic, but the iPad and iPhone have more market potential than any products Apple has ever released. They have the chance to be both the Microsoft and the Intel of the next generation of personal computing — profiting, wildly, both as the software platform vendor and hardware seller. Maybe my guesswork here is unrealistic, and driven more by what I’d like to see than what I should actually expect. But I’m certain that Apple sees the potential and the high stakes. They’re not going to leave any gas in the tank pushing the iPad hardware specs forward as fast as they can.